Attention Ciguatoxin is flavourless and odourless. Digestive system: nausea, vomiting, diarrhea, abdominal cramps lasting from 24 to 48 hours. These symptoms can last from a few days to a few months, and sometimes even a few years. There is no cure for ciguatera, but there are treatments that can help alleviate the symptoms. Other: Facial swelling, skin redness, edema, hot flashes, headache, drop in blood pressure, rapid pulse, itching, burning mouth sensation, tingling, etc. Do not eat any fish that taste salty, peppery or tingly as it may have overly high histamine levels. In some cases, there is no unusual taste. Make sure the fish you are eating is fresh and was stored in a properly refrigerated area. Avoid eating bivalve shellfish, especially in developing countries. 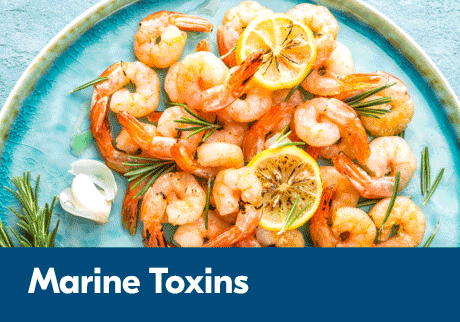 These are often temporary, but in more severe cases, consuming biotoxins can be fatal.